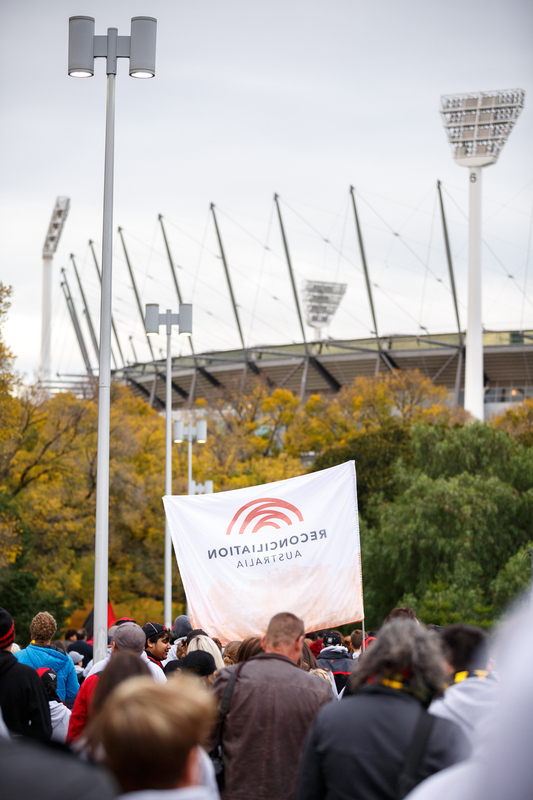 PLEASE NOTE THAT BAGS WILL NOT BE PERMITTED ONTO THE MCG ARENA, PLEASE ENSURE THAT YOU DO NOT BRING A BAG TO THE MCG WITH YOU. 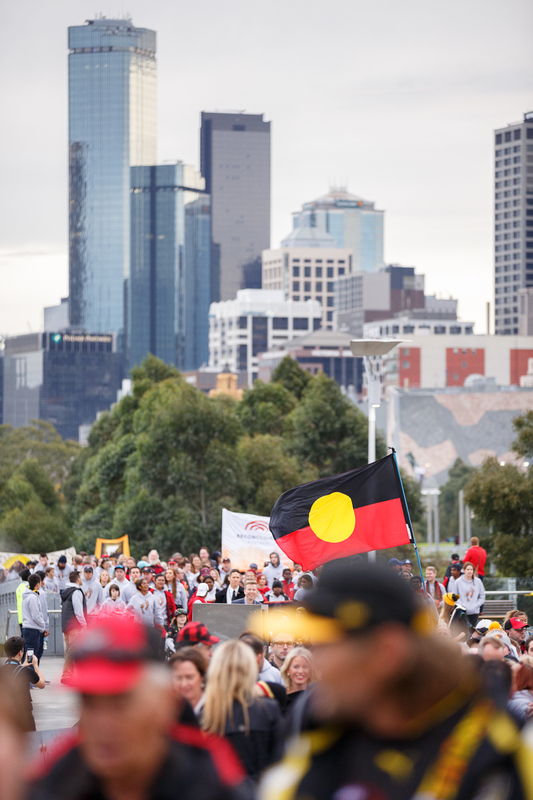 MELBOURNE! 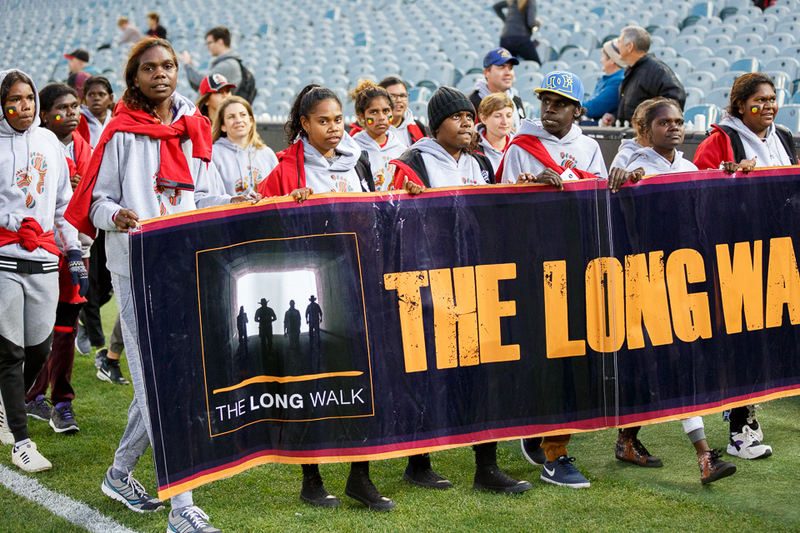 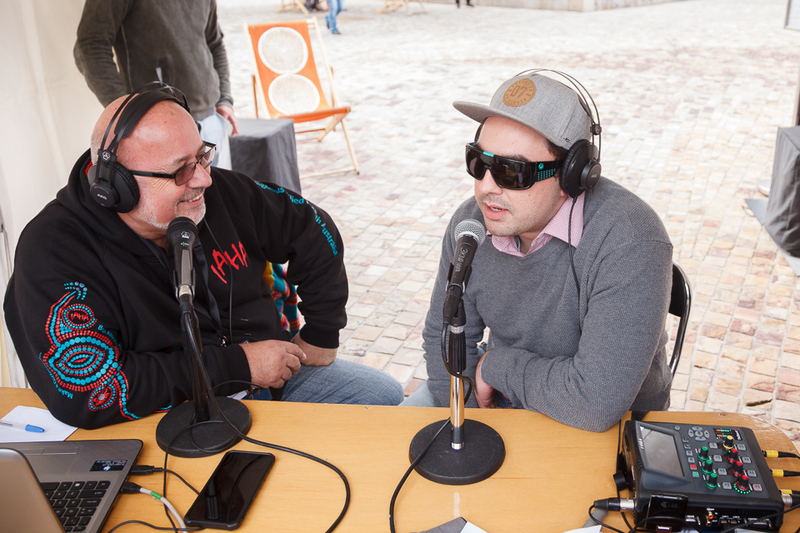 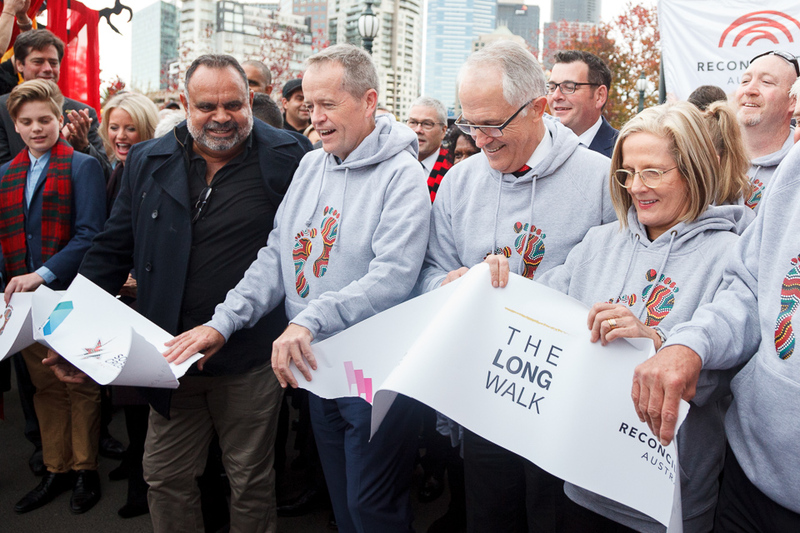 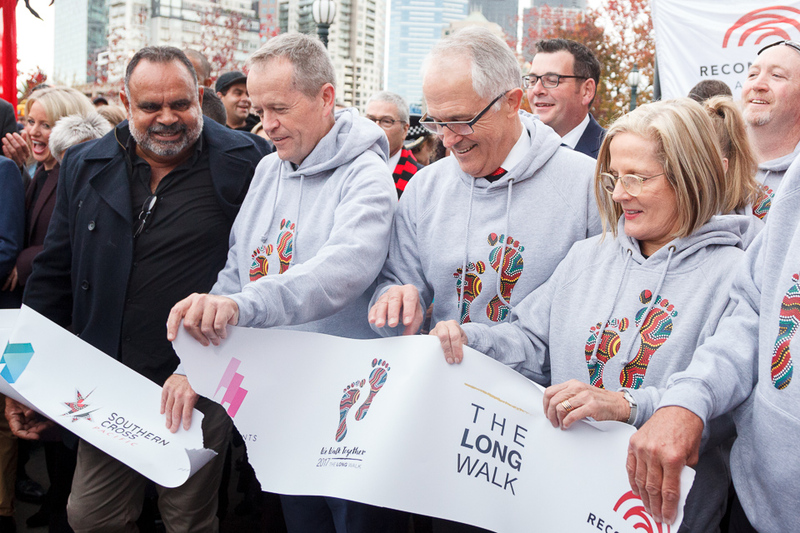 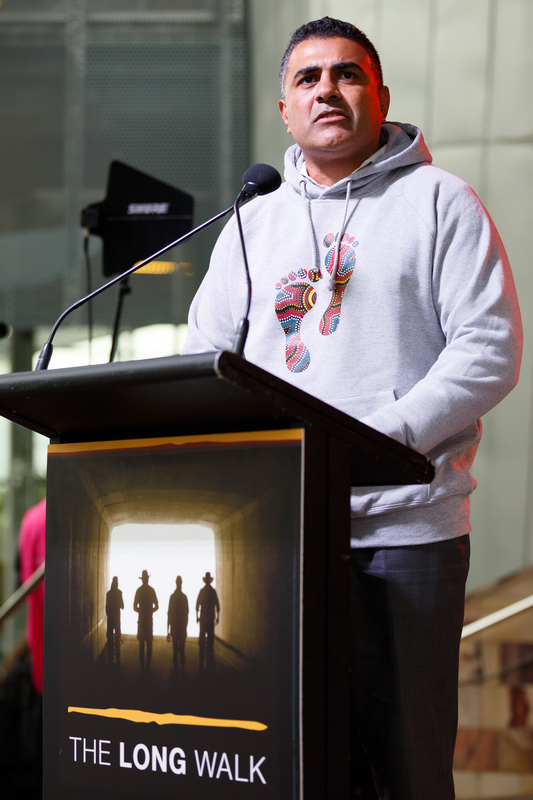 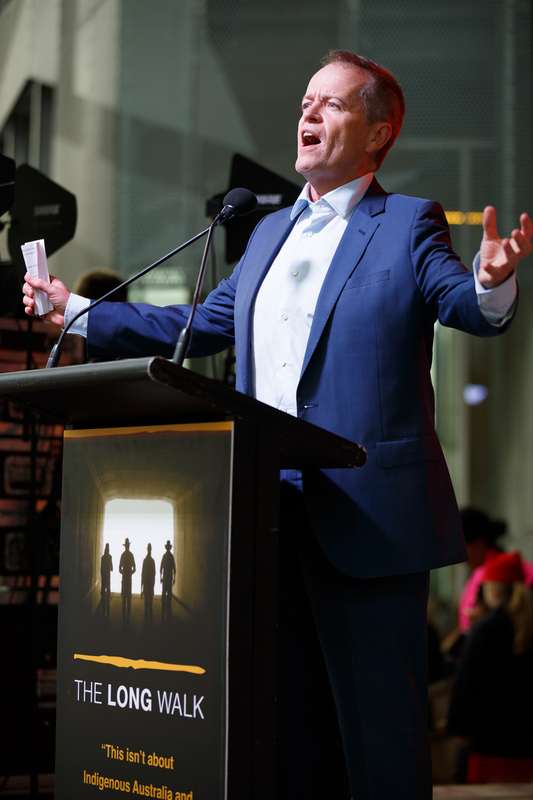 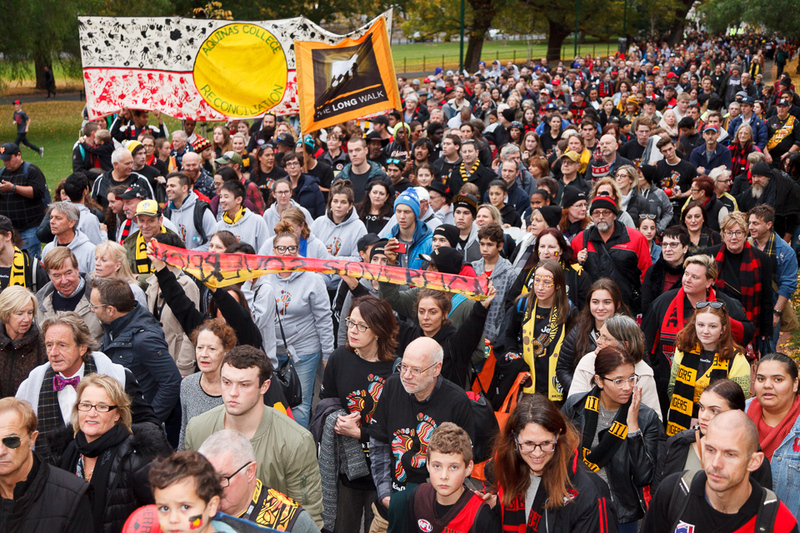 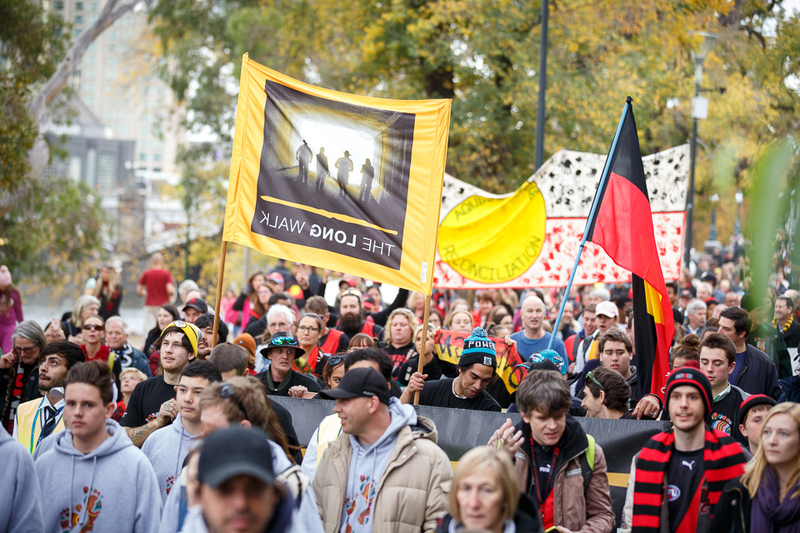 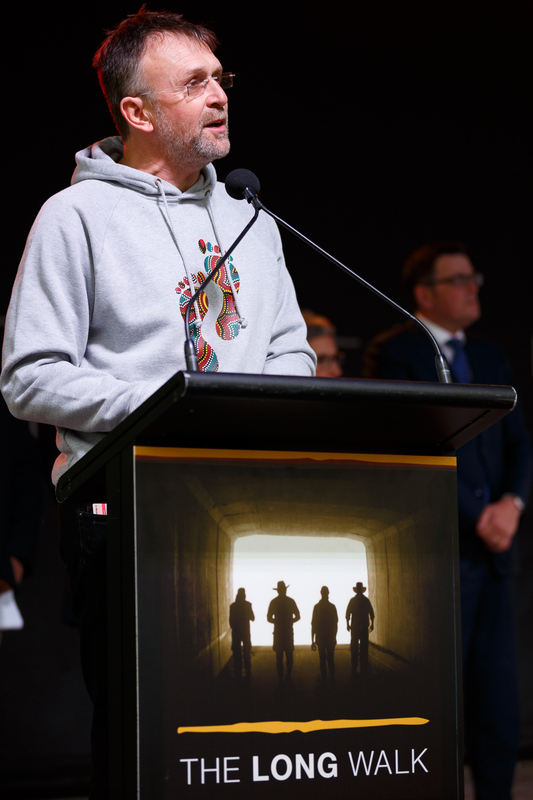 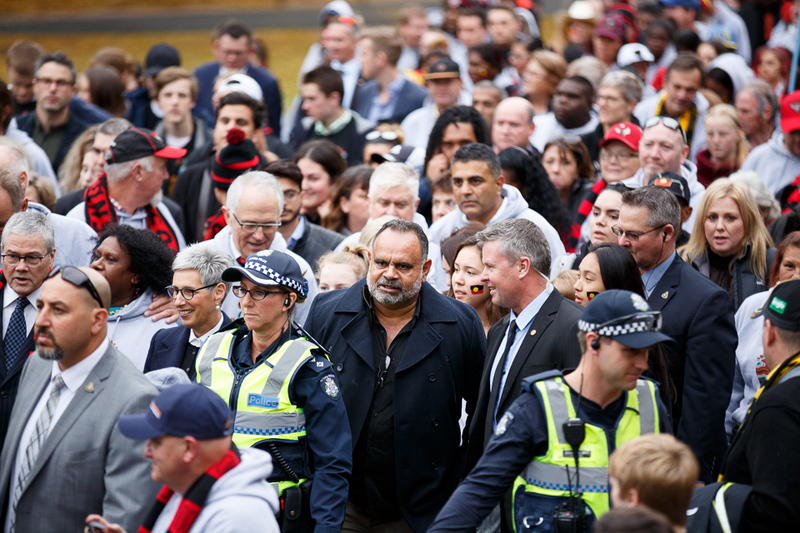 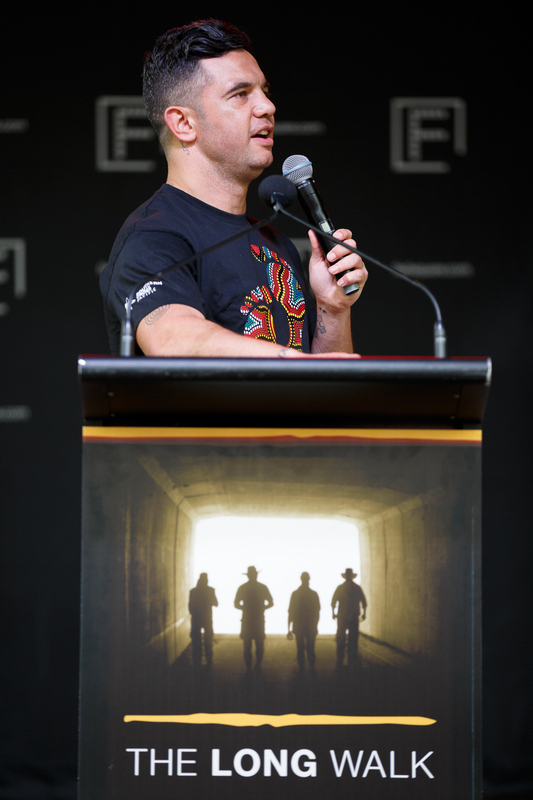 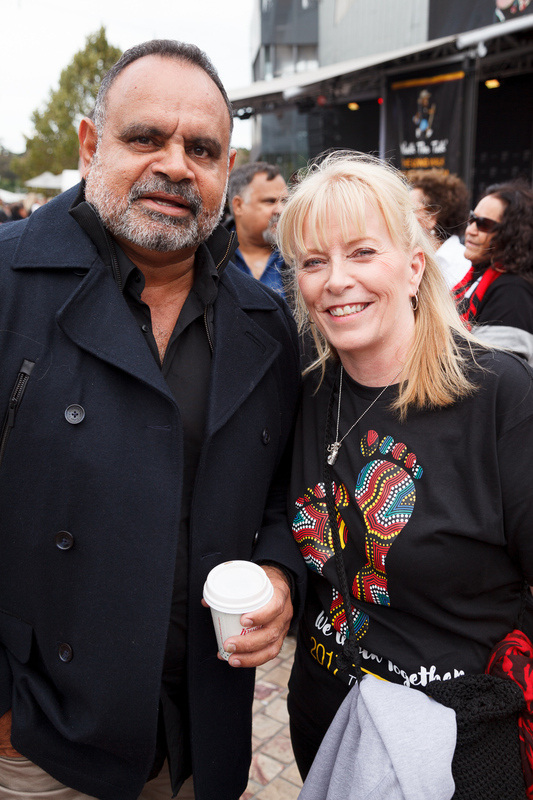 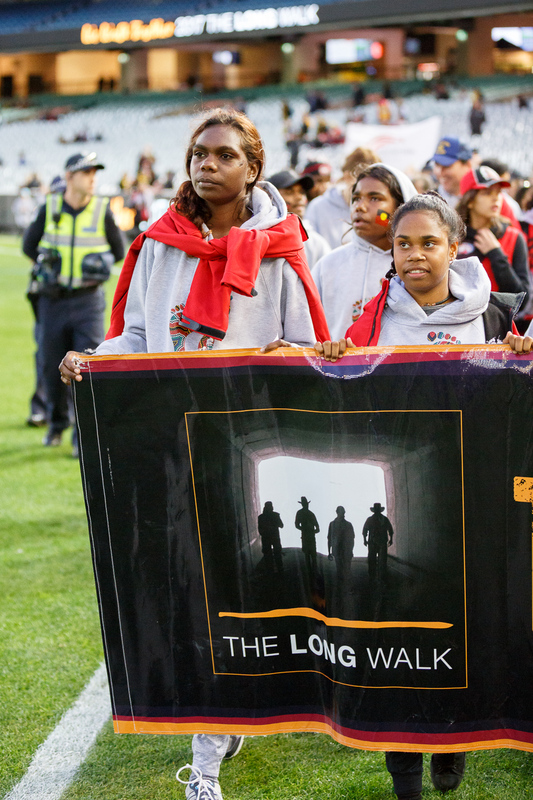 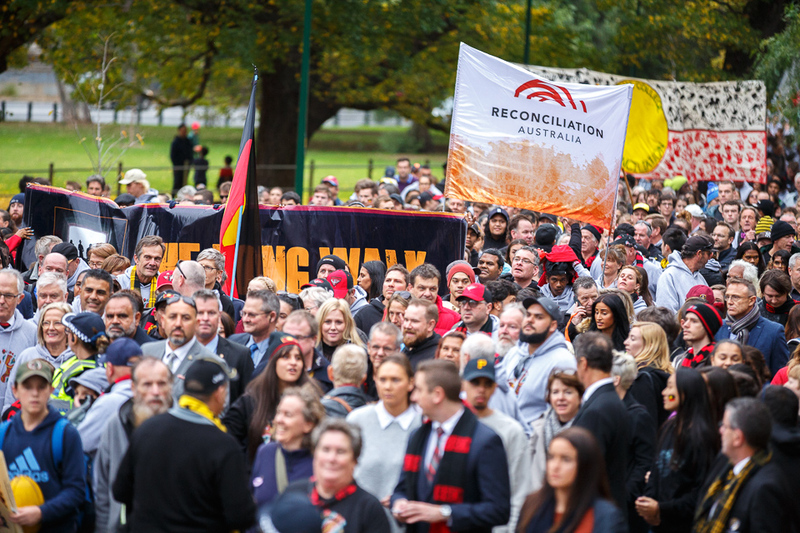 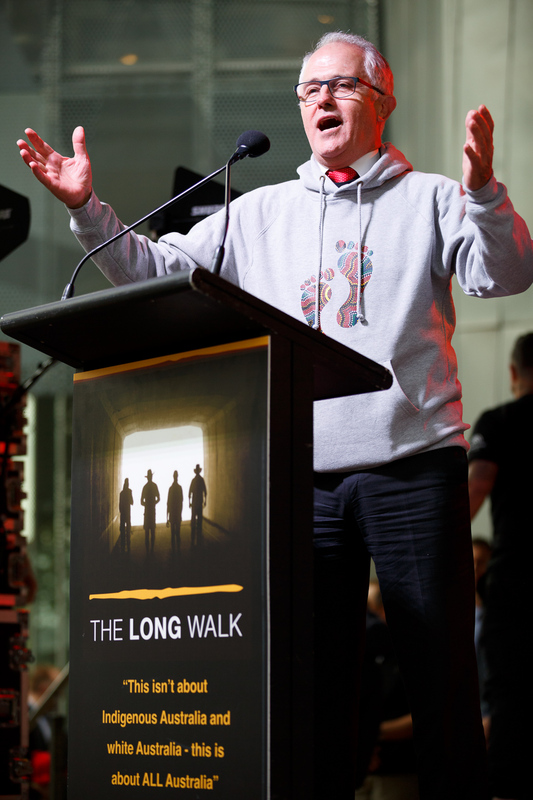 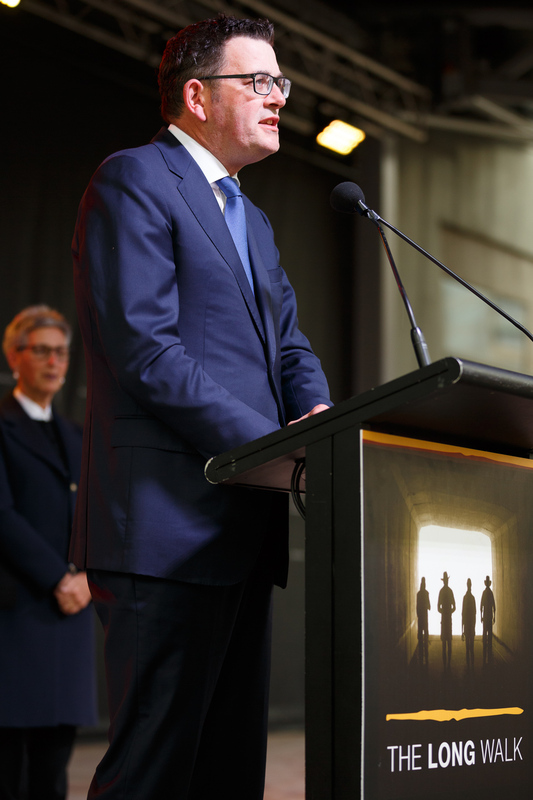 Join Michael Long for "The Long Walk 2018" on Saturday 2nd June at Federation Square in Melbourne. 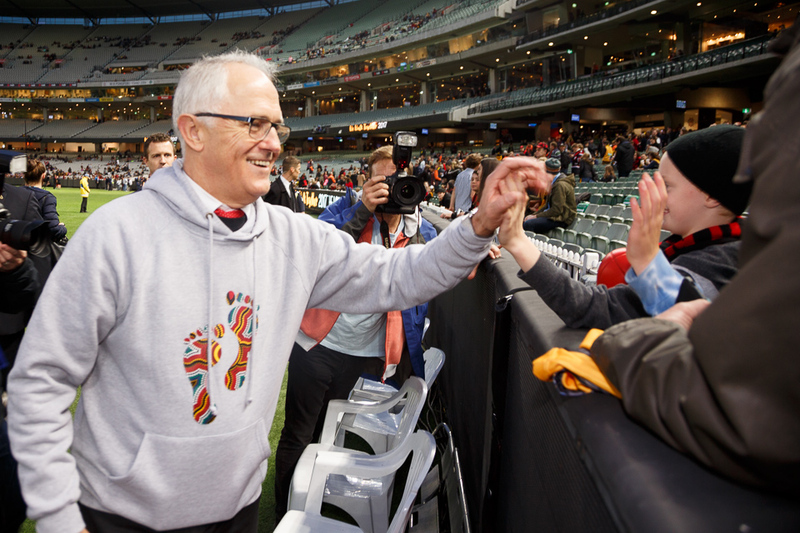 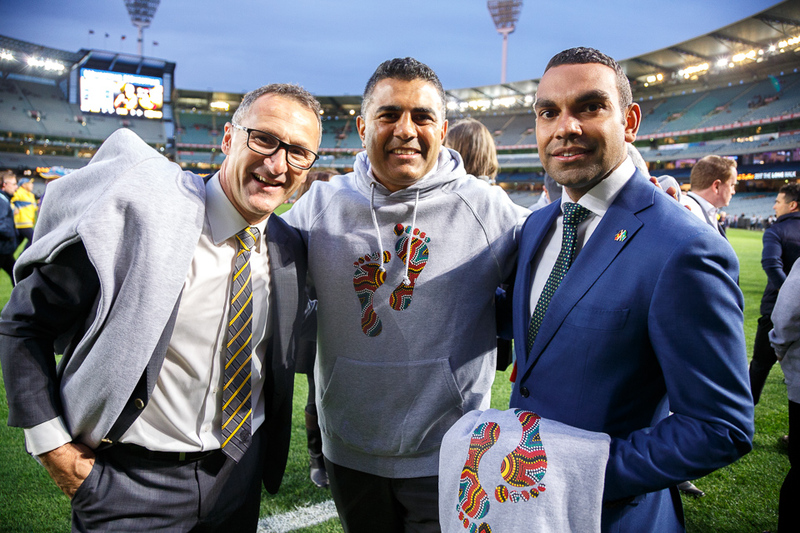 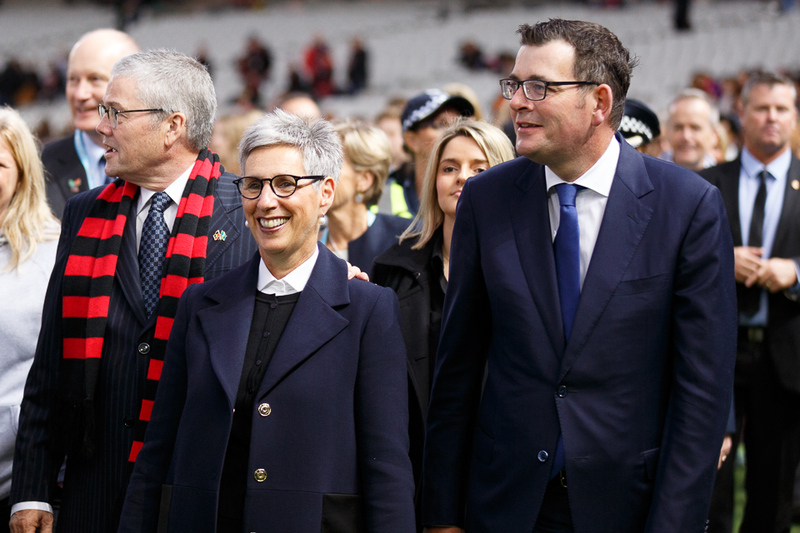 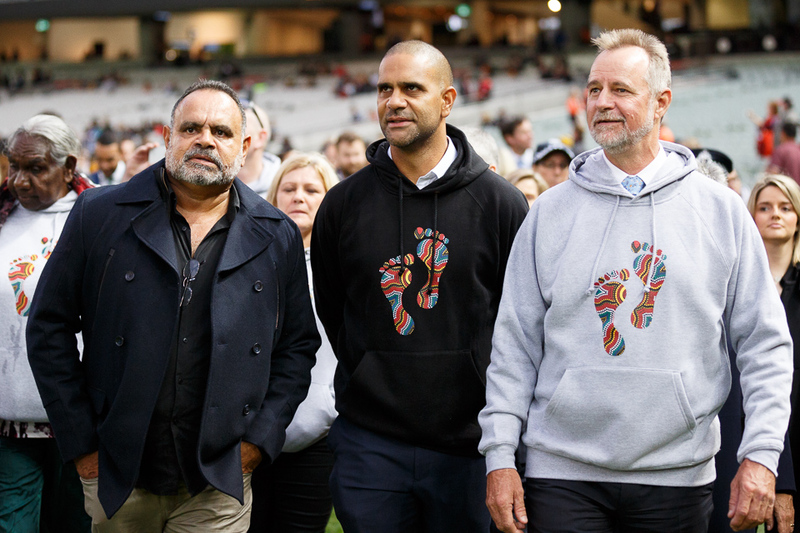 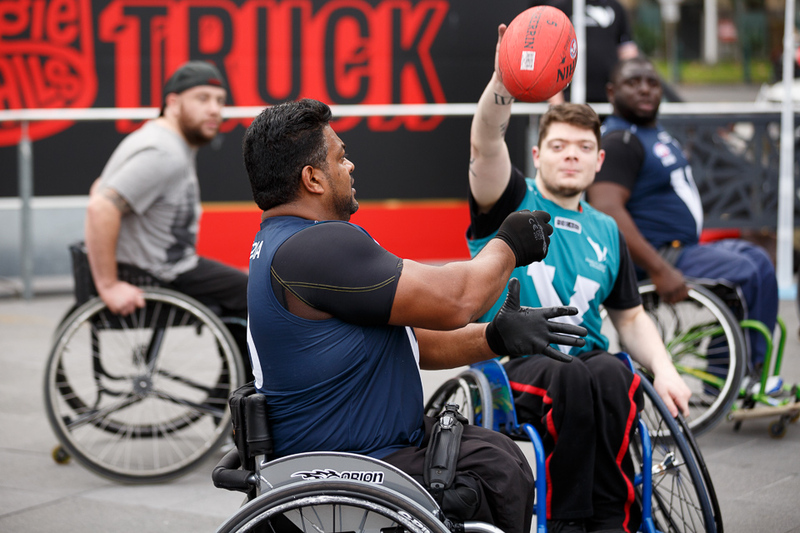 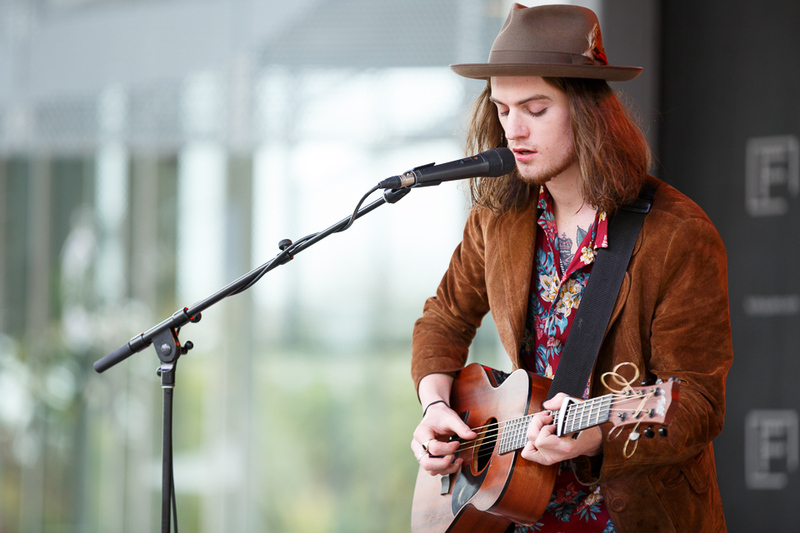 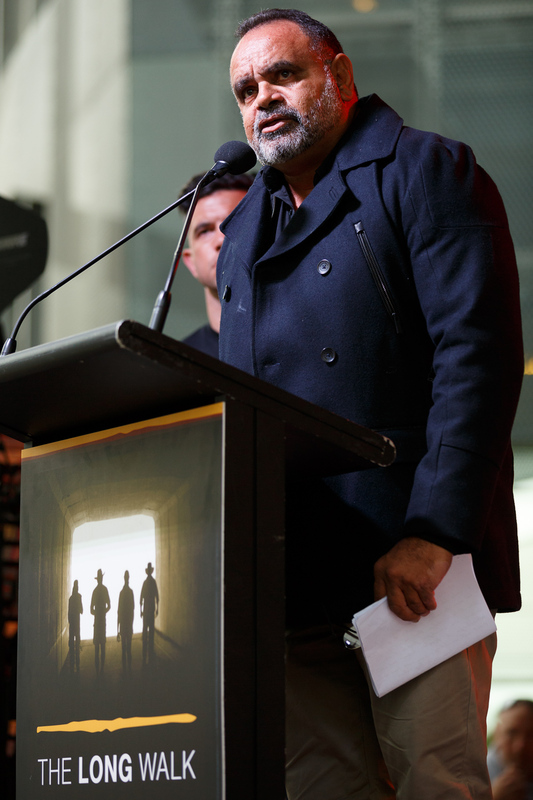 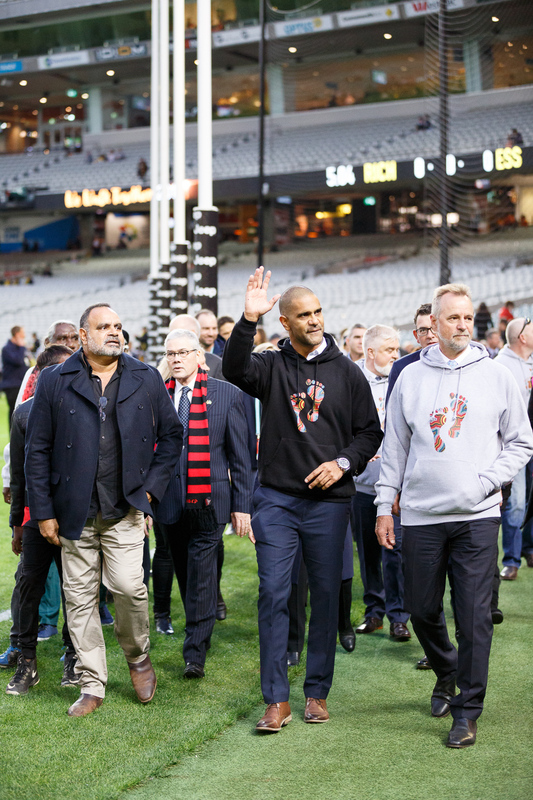 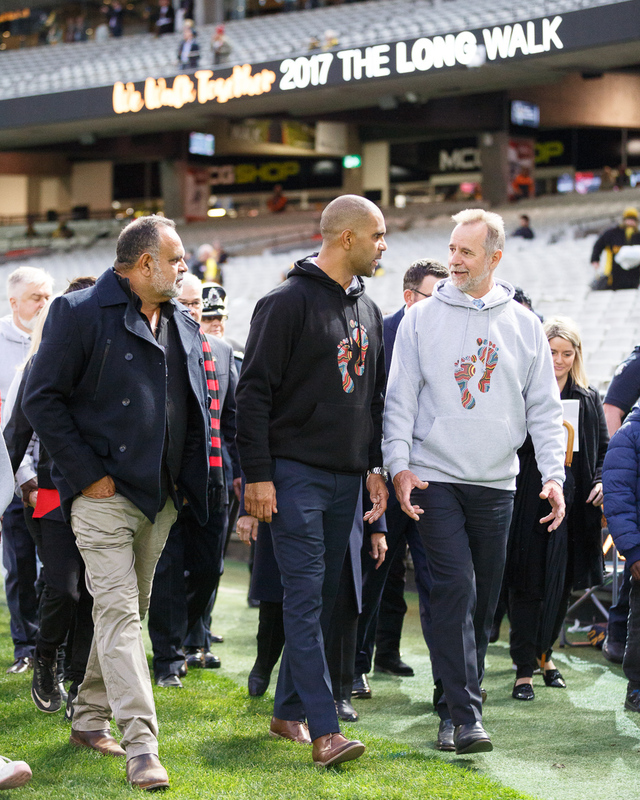 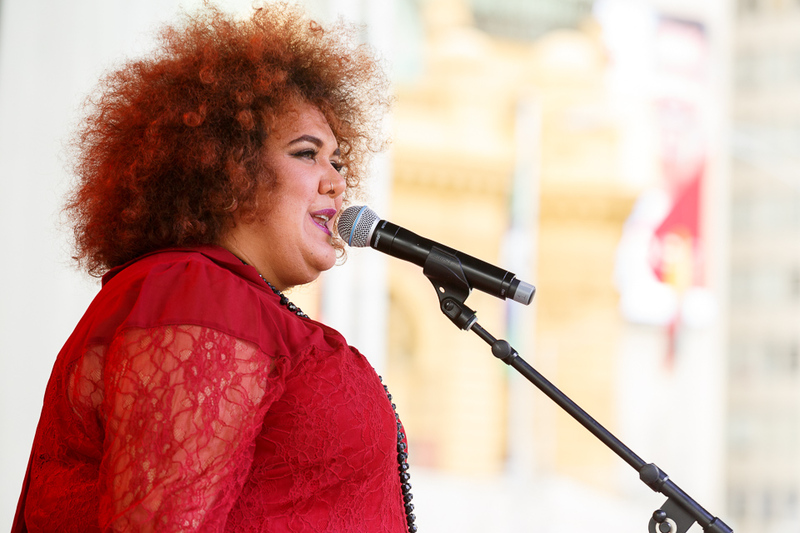 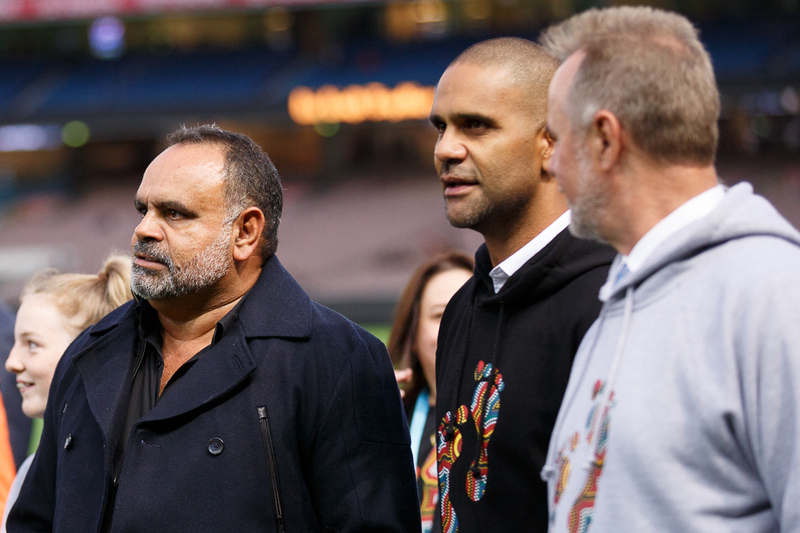 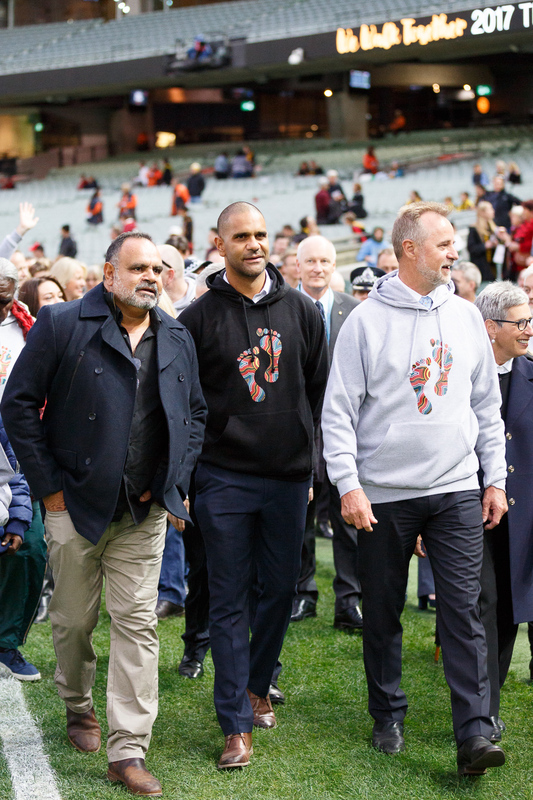 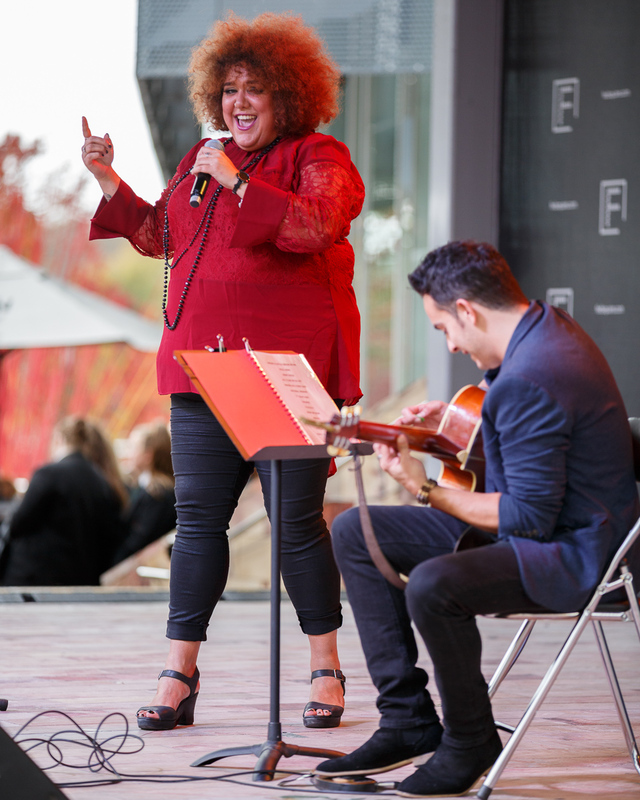 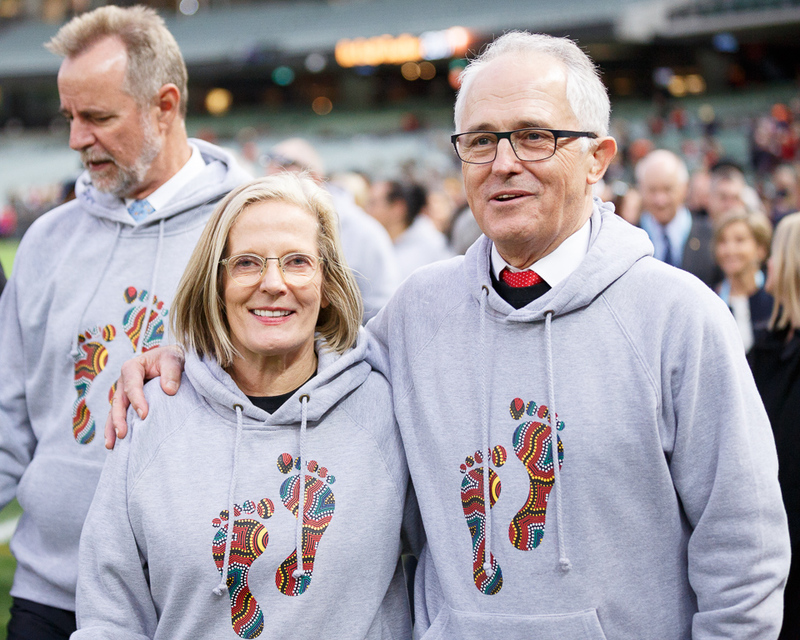 Those who purchase Dreamtime Walker Experience package will be given the amazing opportunity to walk onto the MCG arena and be part of the pre-game entertainment! 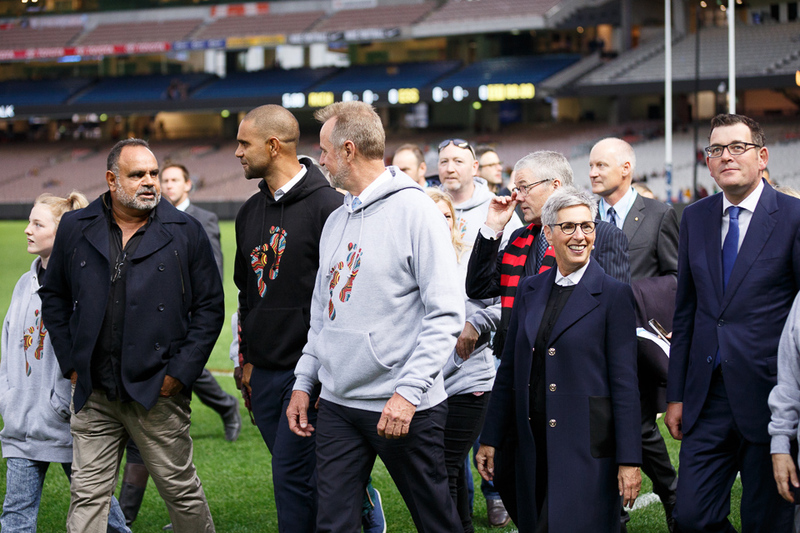 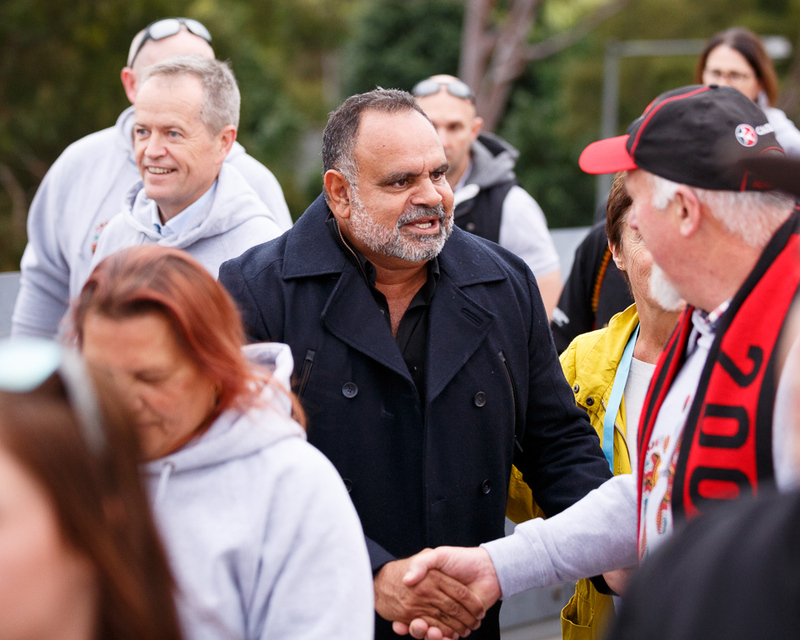 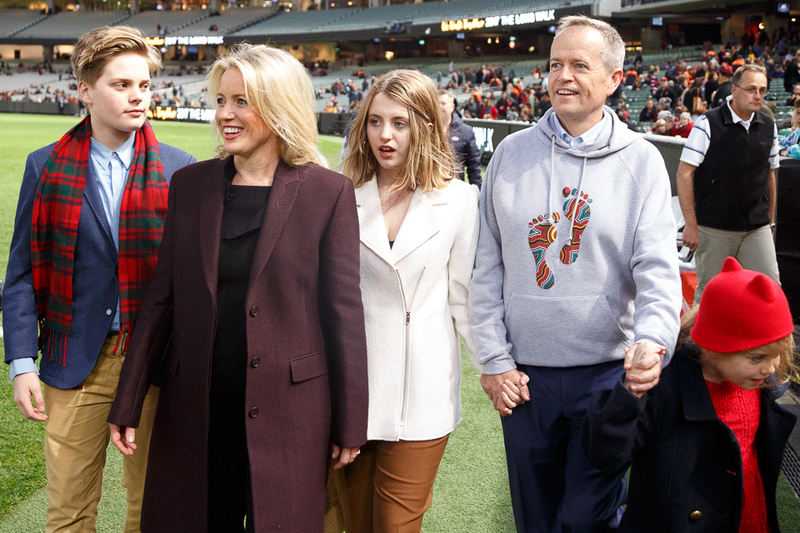 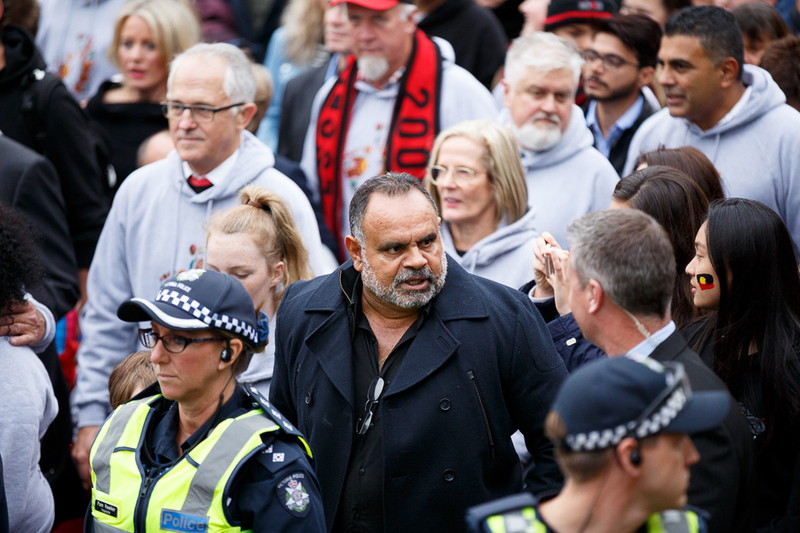 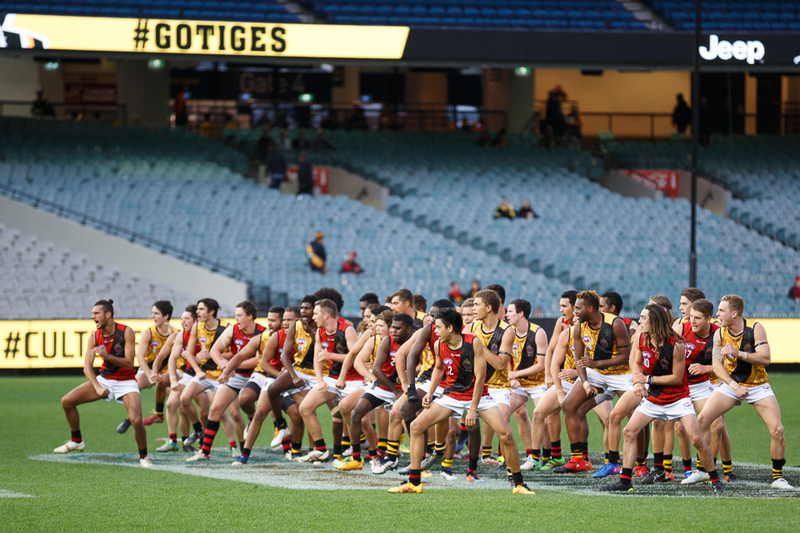 This will, of course, precede the traditional Dreamtime at the 'G game between highly fancied Essendon Bombers and reigning premiers Richmond Tigers, a memory to truly cherish! 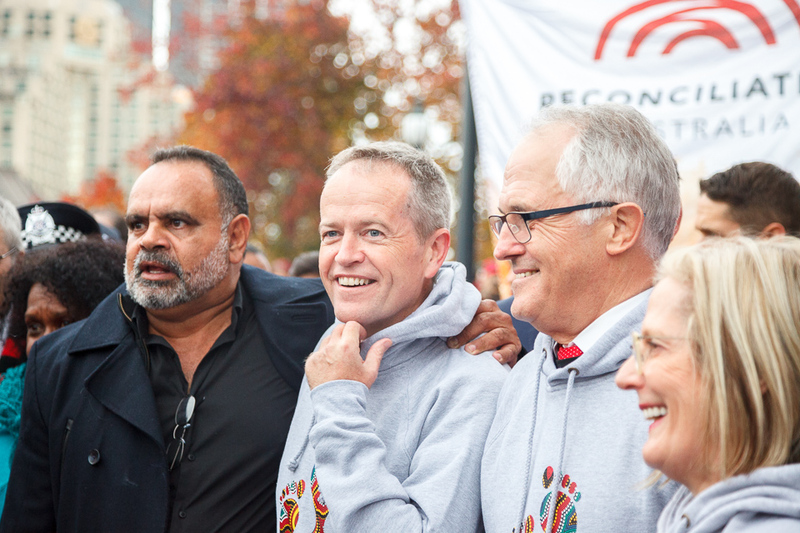 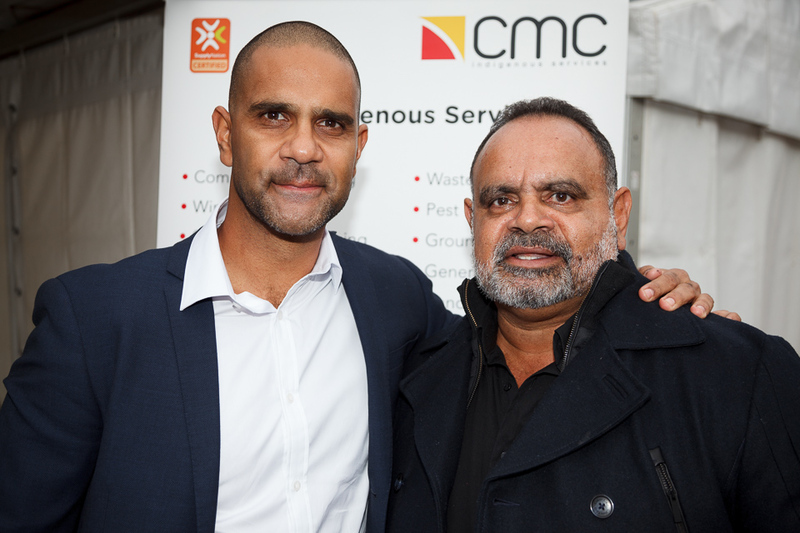 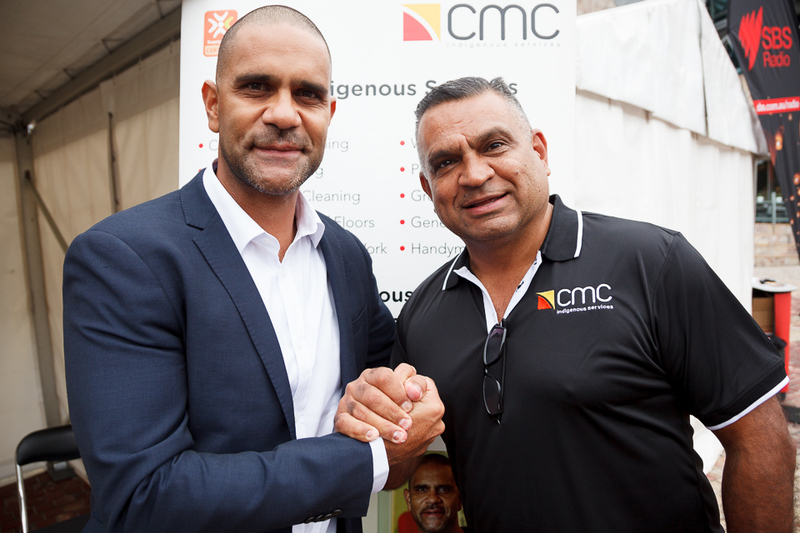 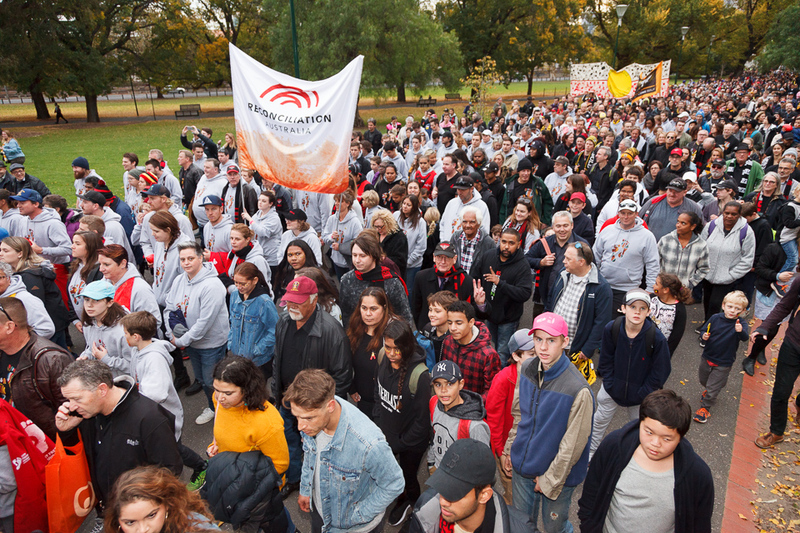 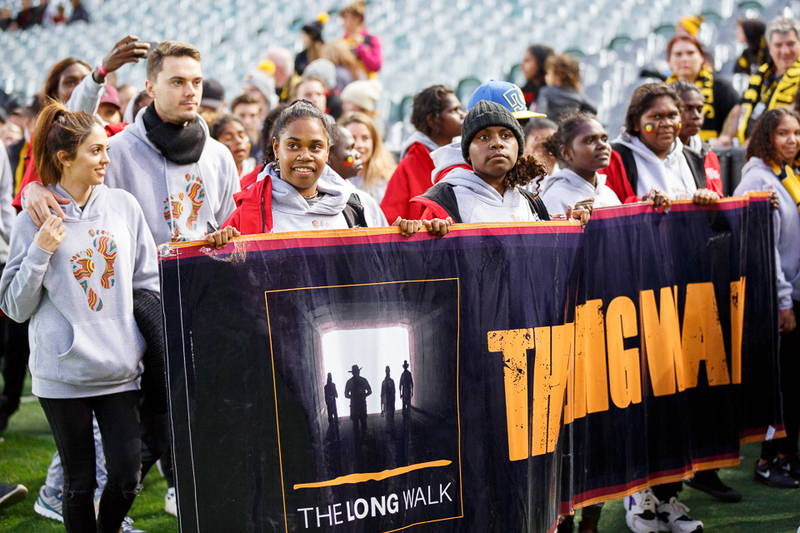 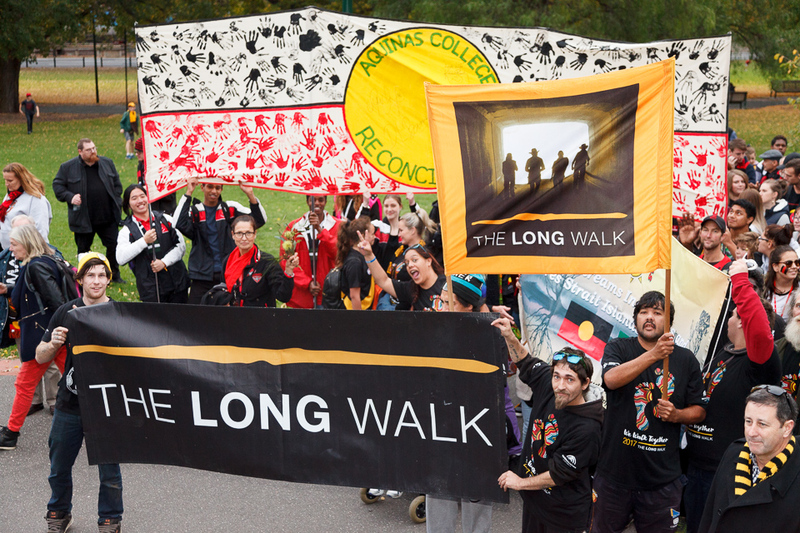 In 2018 we once again have a range of packages to give more people the opportunity to support The Long Walk to empower and develop Aboriginal & Torres Strait Islander young people. 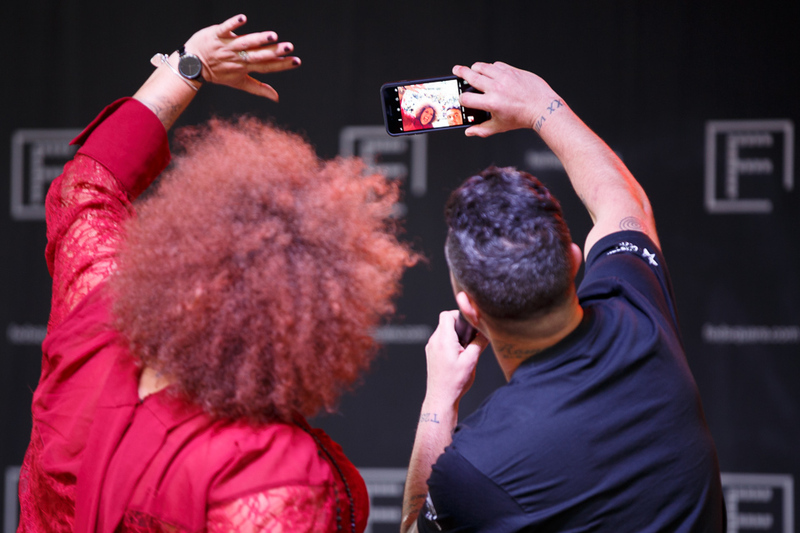 Plus in 2018 we're also providing discounts for groups of 10 or more*. 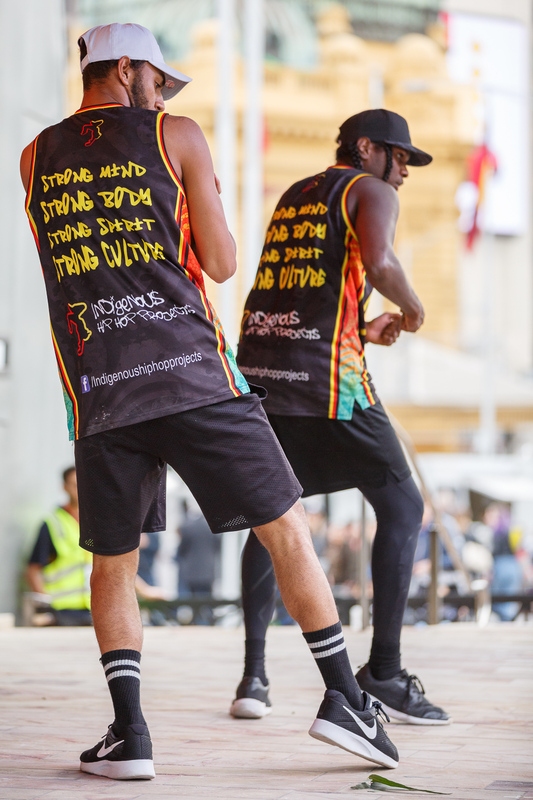 Join us to celebrate the beautiful culture and amazing talent of Australia's First Nations peoples. 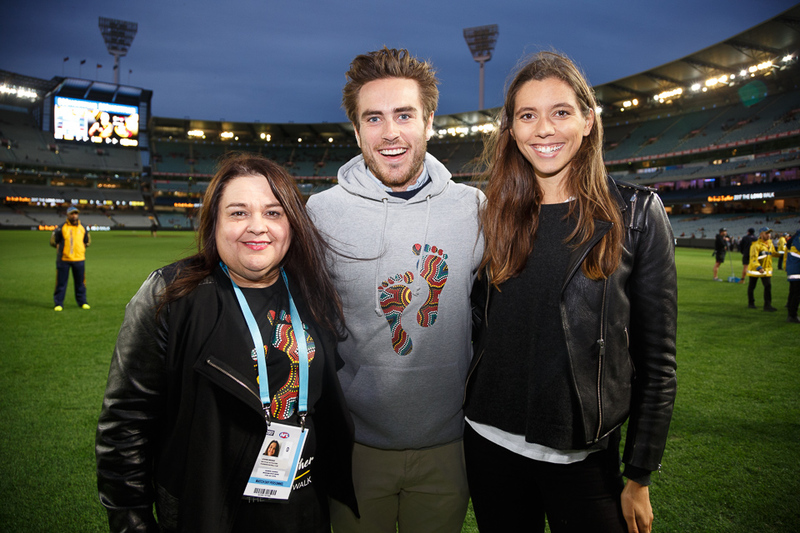 PLEASE NOTE THAT BAGS ARE NOT PERMITTED ONTO THE MCG ARENA, FOR THOSE PURCHASING "THE LONG WALK EXPERIENCE" PACKAGES, PLEASE ENSURE THAT YOU DO NOT BRING A BAG TO THE MCG AS YOU WILL NOT BE GRANTED ENTRY. 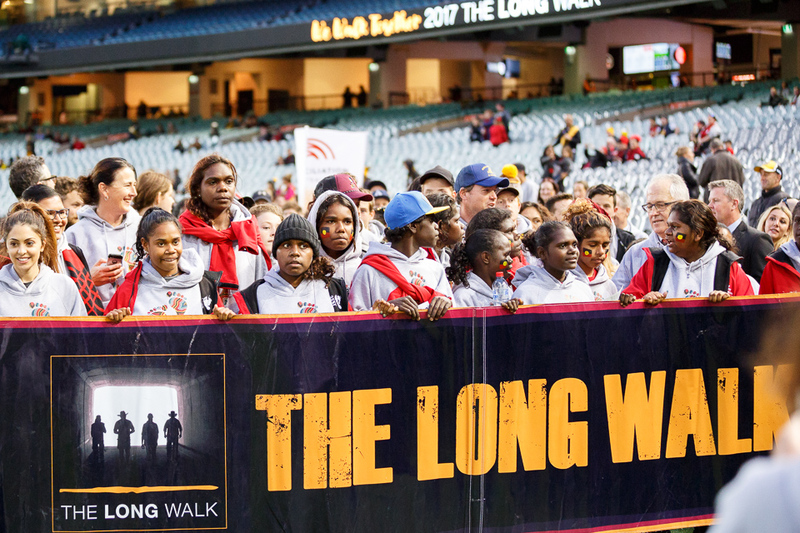 ^Only those who have registered for 'The Long Walk' package will be granted access onto the MCG arena, availability is limited. 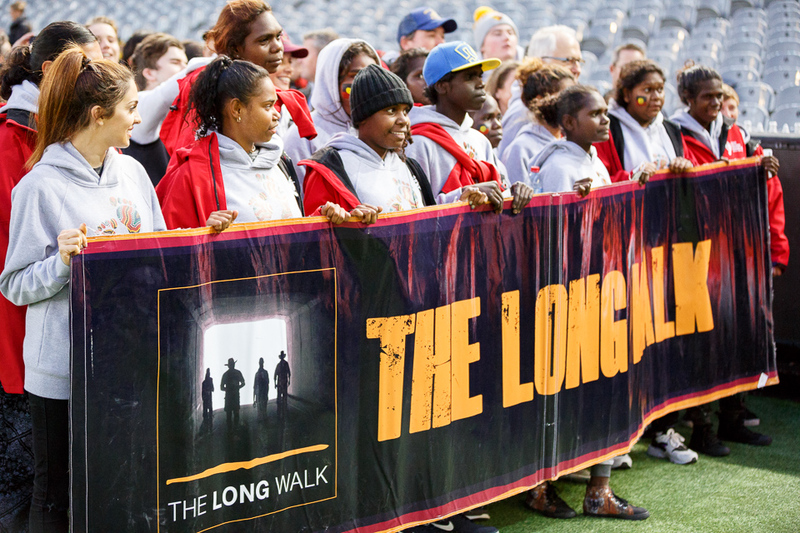 THE LONG WALK IS PROUD TO BE PROMOTING A SMOKE-FREE EVENT! 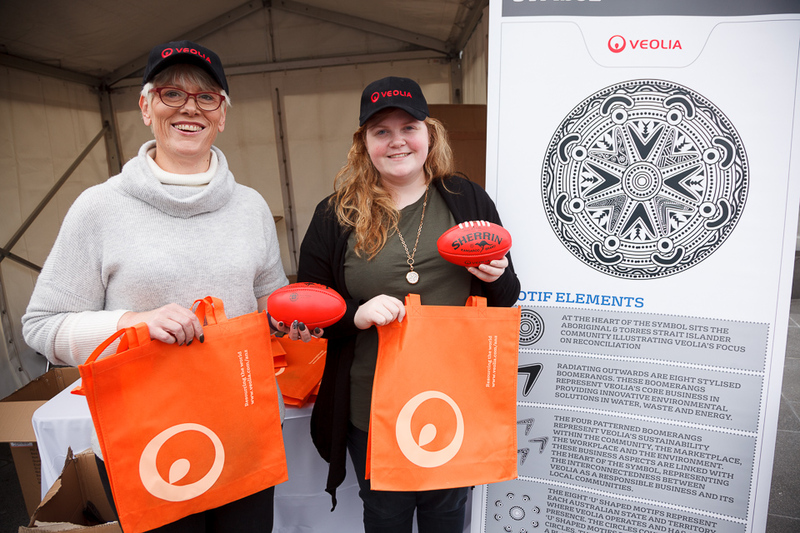 NOTE THAT BAGS WILL NOT BE PERMITTED ONTO THE MCG SURFACE - PLEASE REFRAIN FROM BRINGING A BAG AND PLAN ACCORDINGLY, CLOAK ROOM FACILITIES ARE NOT AVAILABLE. 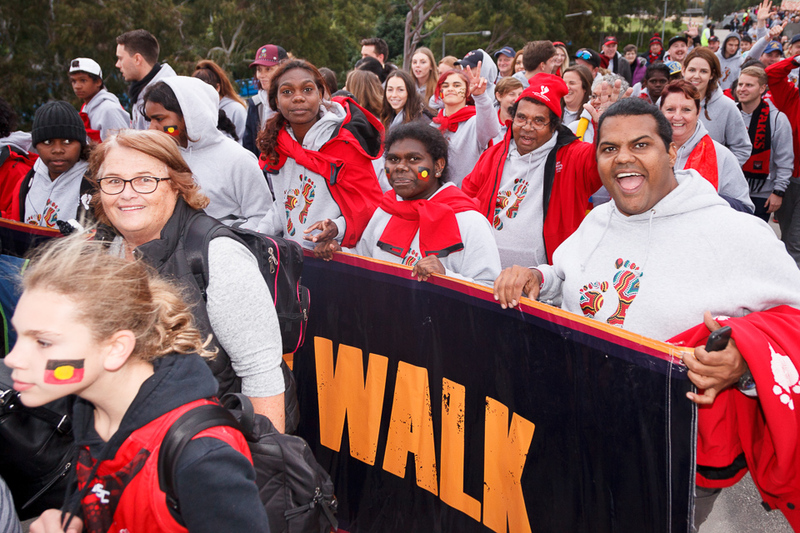 How do I get to Federation Square (the meeting point) via public transport? 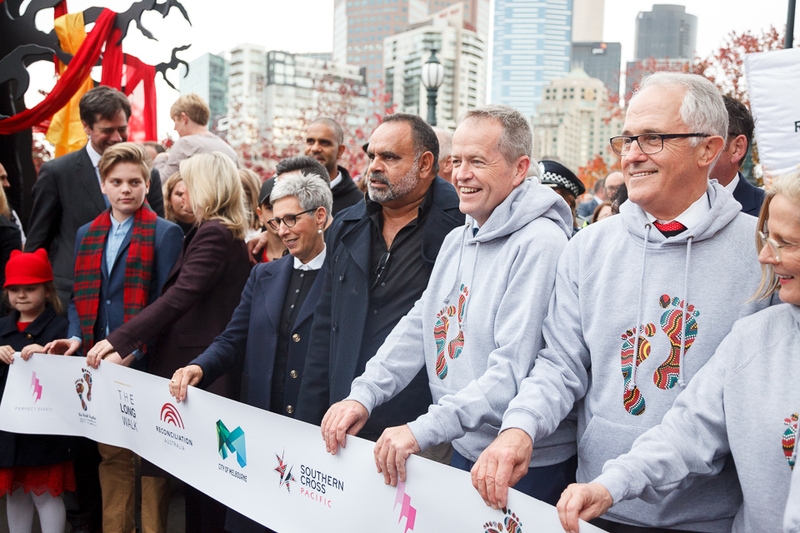 Federation Square is across the road from Flinders Street Station and can be easily reached by train, tram, bus, bike and car. 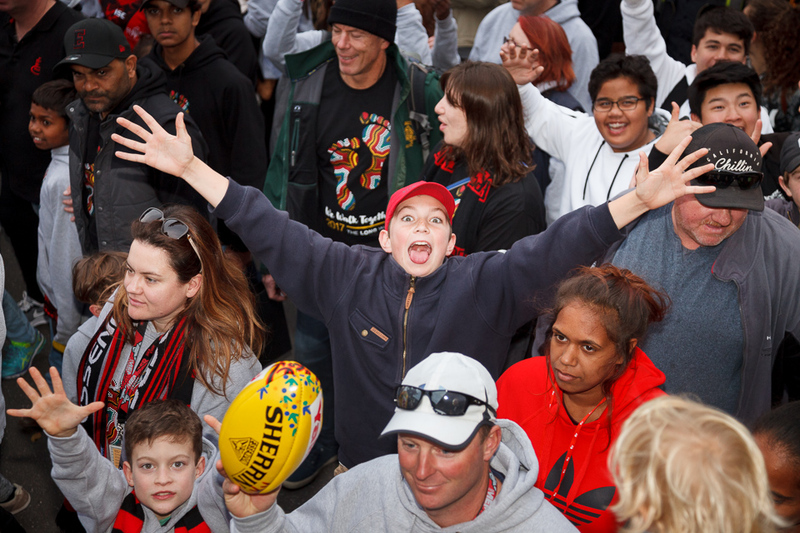 WE STRONGLY ENCOURAGE YOU TO CATCH PUBLIC TRANSPORT DUE TO LARGE CROWDS EXPECTED. 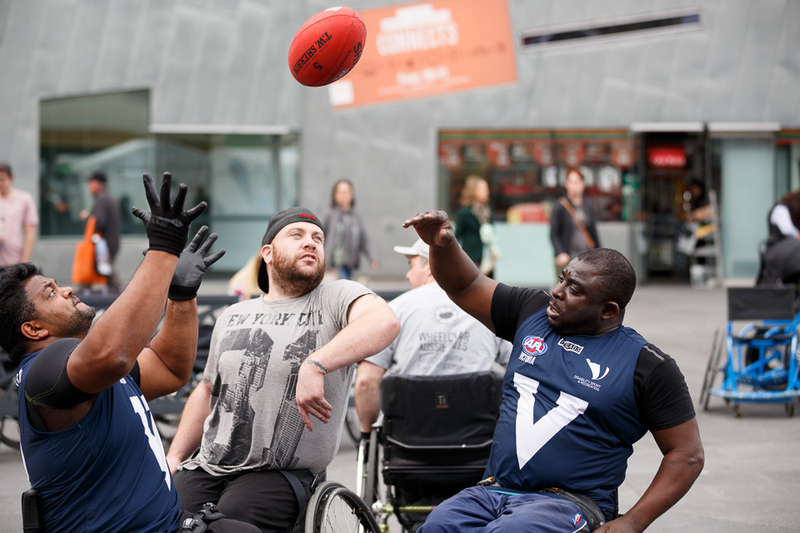 Federation Square: Accessible public toilets and baby-change facilities are located in The Square, next to Time Out, and in The Atrium. 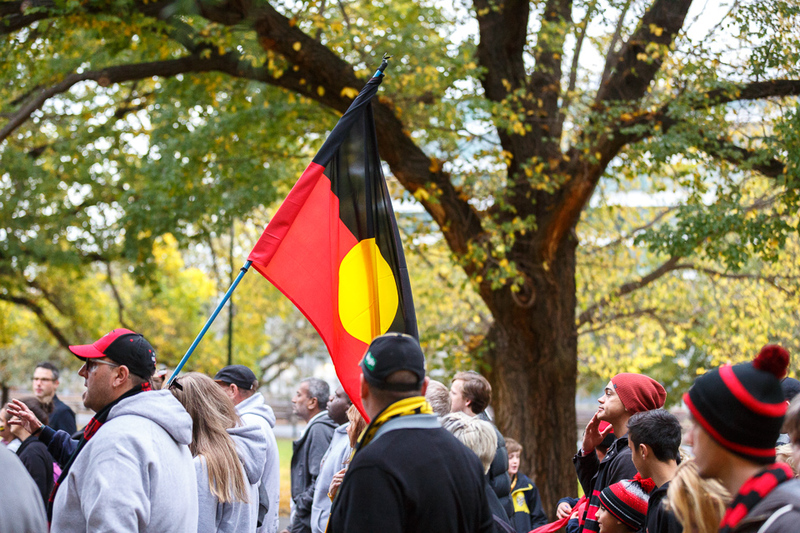 Many onsite cafes and restaurants also have toilets available for customer use. 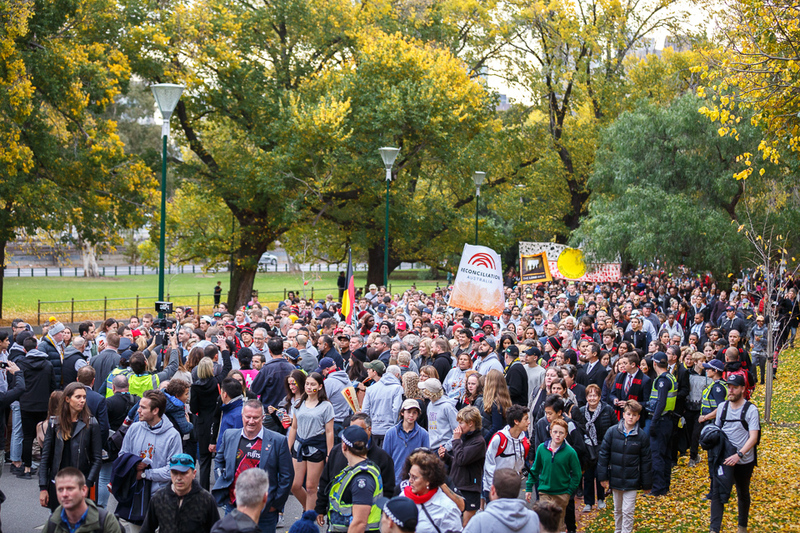 MCG: Accessible public toilets are located within the grounds. 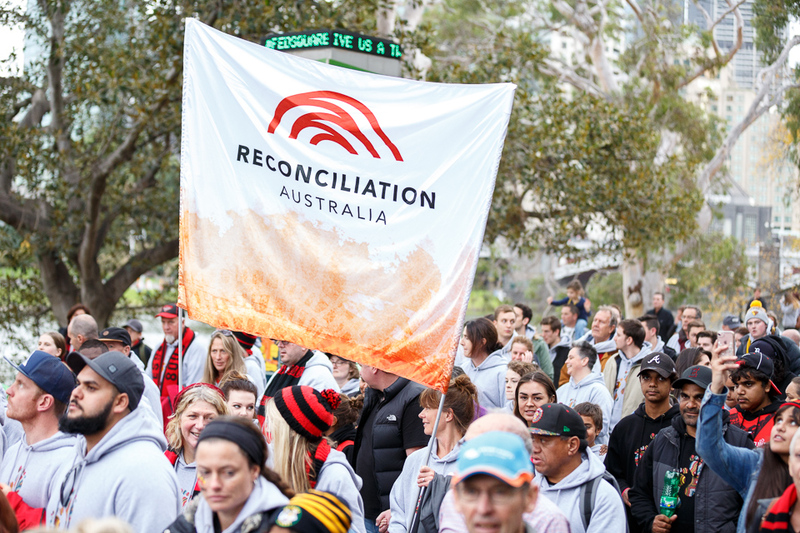 Where are water stations located? 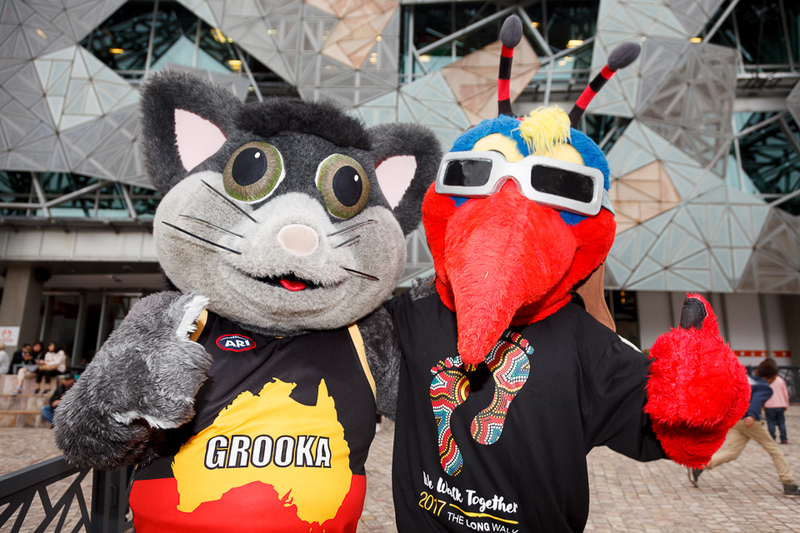 A water station will be setup at Federation Square in the main Plaza. 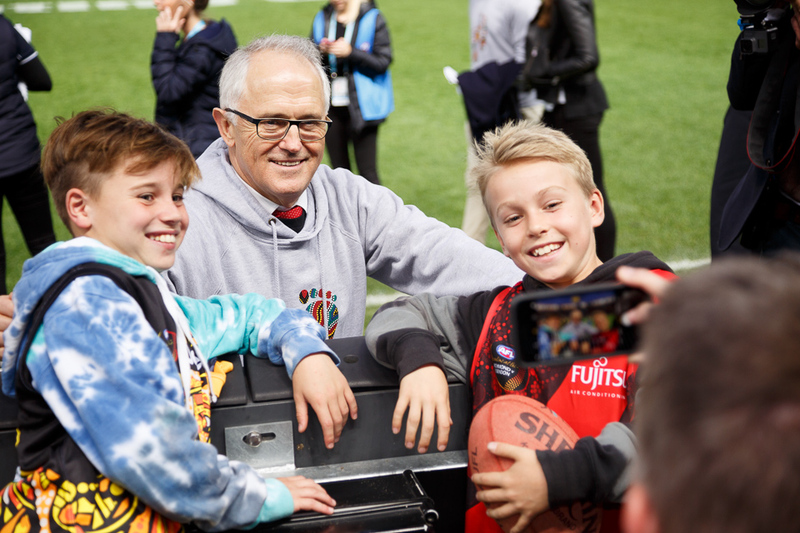 Are there ATM’s available/Can I pay on EFTPOS? 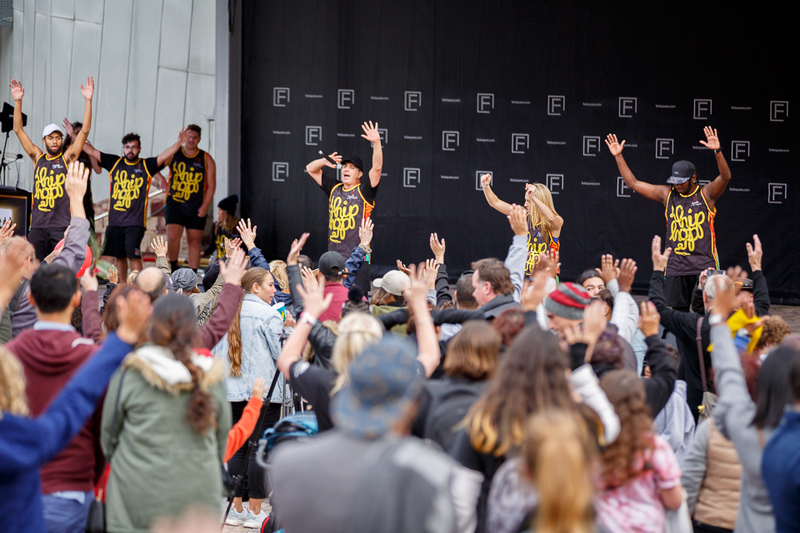 Yes, there are two Commonwealth Bank ATM’s located at Federation Square next to 7/11, and EFTPOS facilities are available at the Registration Marquee.